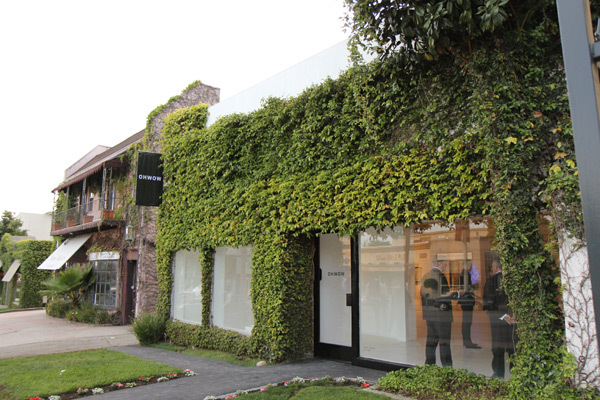 A peek at the gallery ~ i love how green it is! 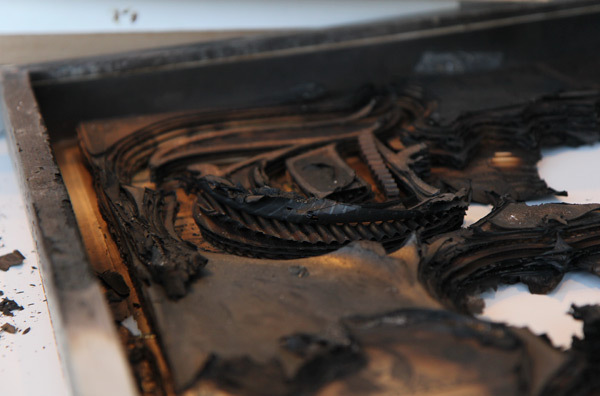 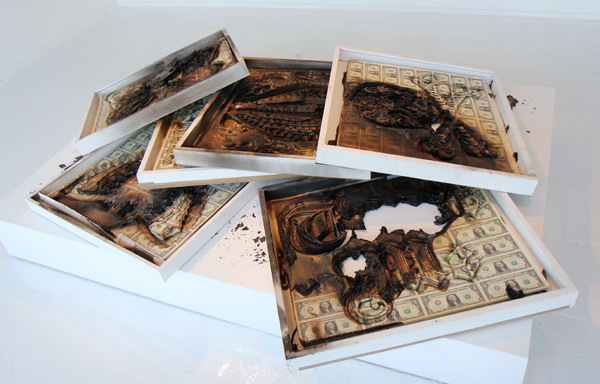 Here’s the pile of burnt artwork sitting in the window display of the gallery. 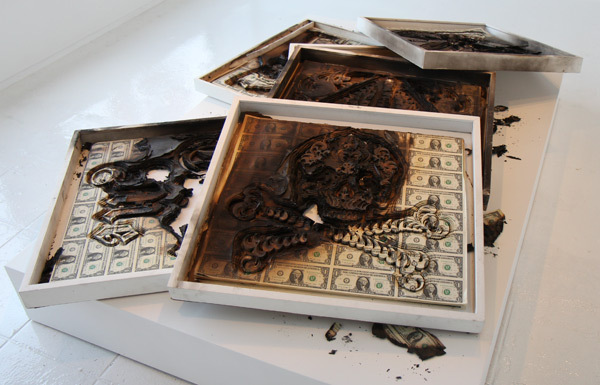 Wondering why he burned his work? 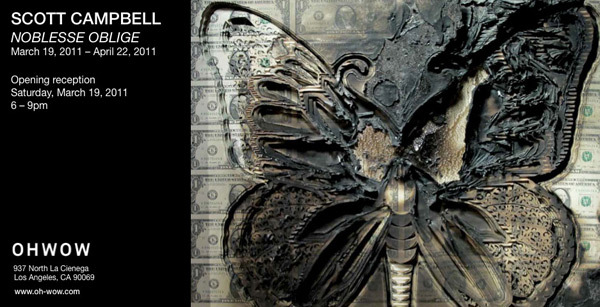 Check out this interview from Interview Magazine to find out why. 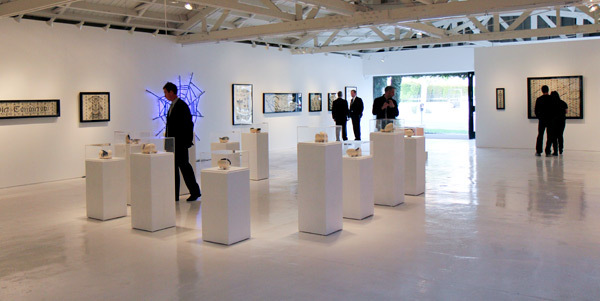 OHWOW inaugurates its Los Angeles gallery with a solo exhibition of recent work by New York based artist Scott Campbell. 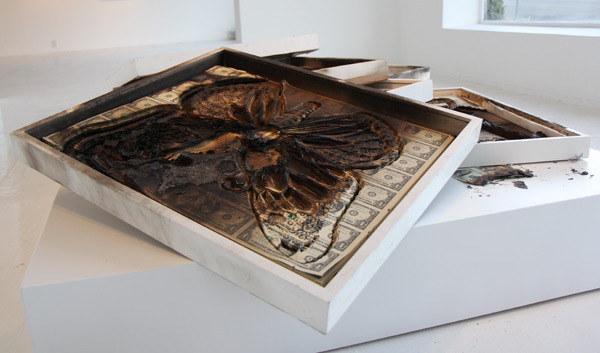 In Campbell’s West Coast debut, Noblesse Oblige, he uses copper, currency, graphite, ink, and neon, to transform tattoo subculture iconography into delicate and tempered work. 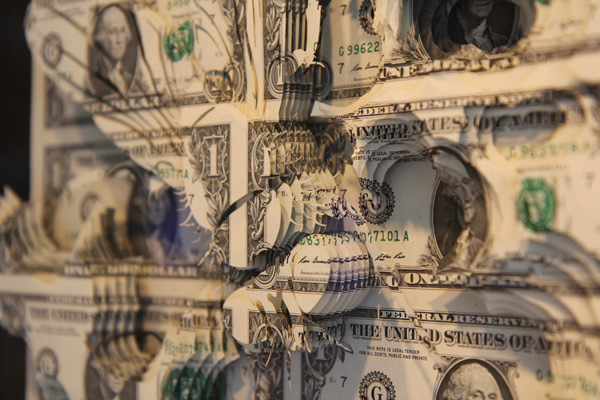 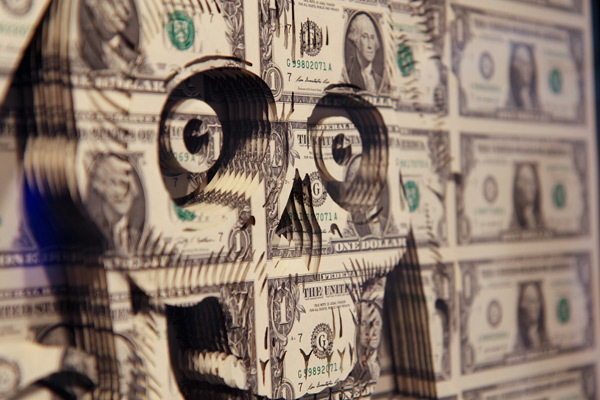 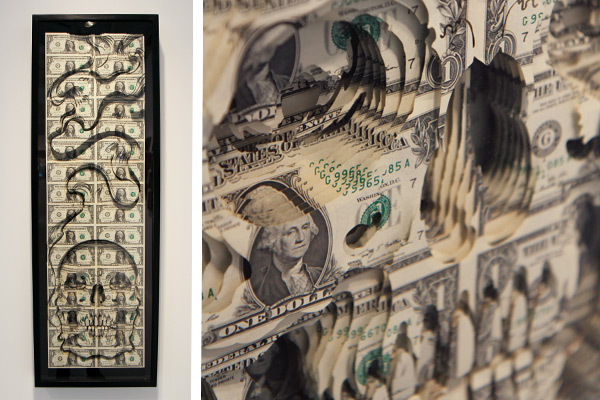 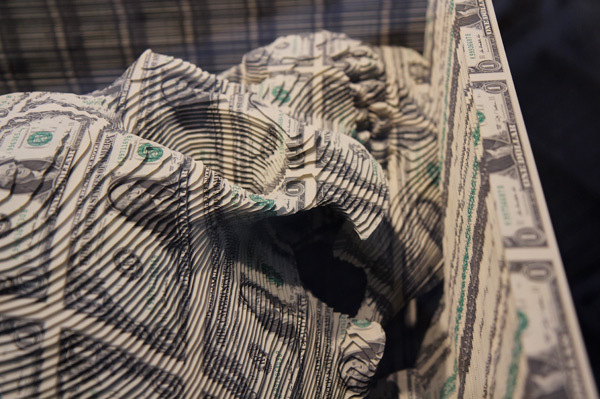 Campbell expands his use of cut currency, sourcing uncut sheets of dollars directly from the United States Mint, to create large, intricate work with a sunken relief effect. 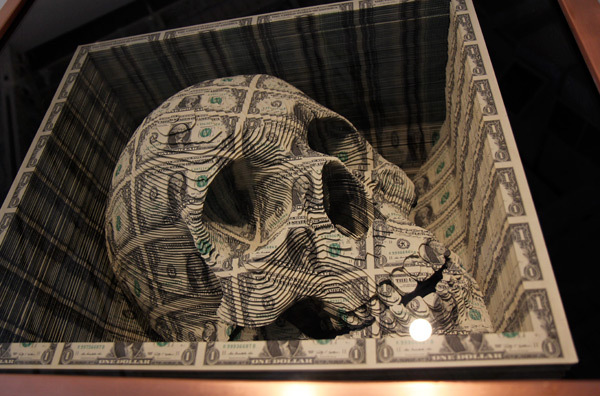 One piece uses $11,ooo worth of currency sheets to create an over two-foot cube, into which a three dimensional skull is carved-out. 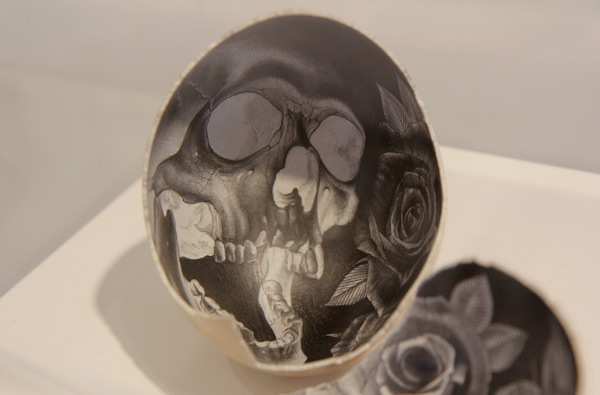 These works employ the familiar blue-collar vernacular of tattoo flash-boards - a skull smoking a cigarette, a skeleton’s hand in a provocative gesture, a single eye emitting a penetrating ray - and highlight the irony that exists within that imagery. 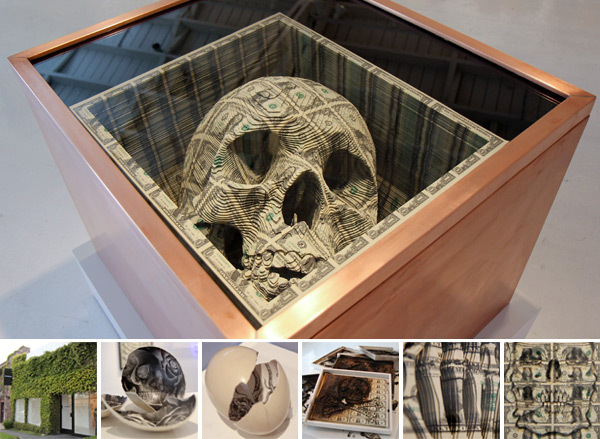 Noblesse Oblige also includes a suite of prints. 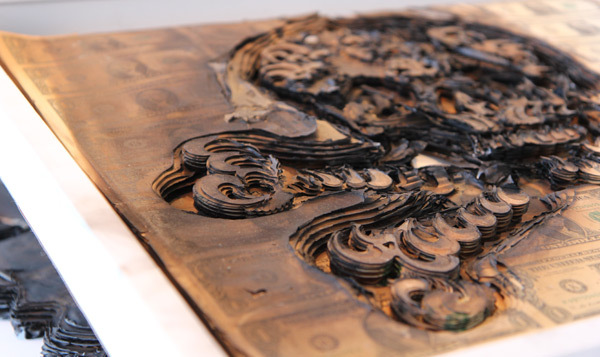 Using a tattoo gun, Campbell has engraved a collection of copper plates to make a group of etchings. 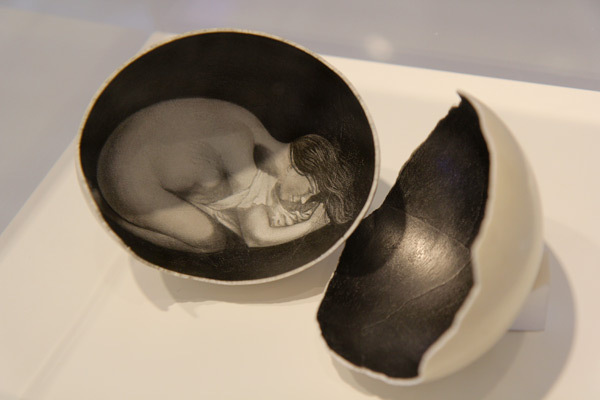 By using the same plates to compose the separate prints, the artist plays with visual semantics - how meaning changes through arrangement. 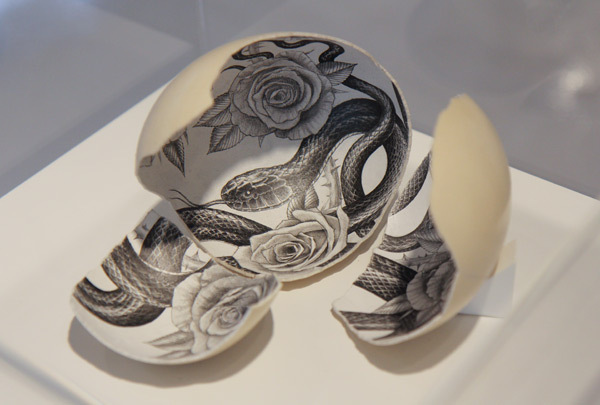 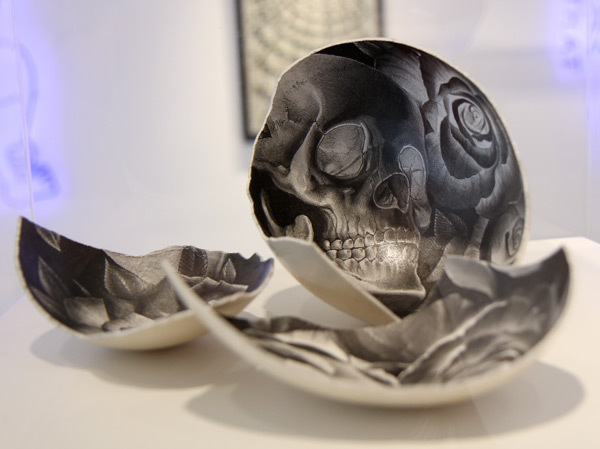 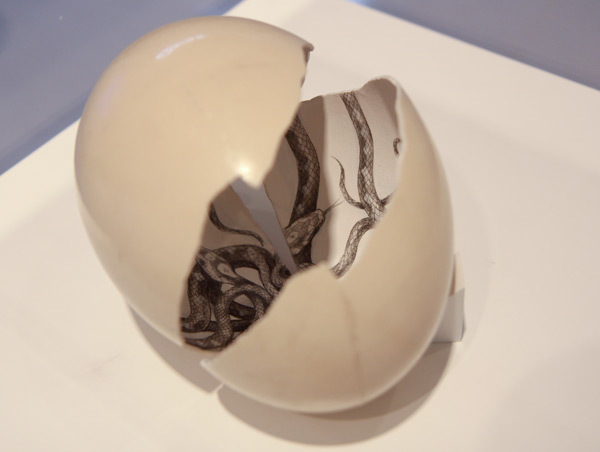 A series of drawings, executed onto the interior of ostrich eggshells, also flirt with interpretation. 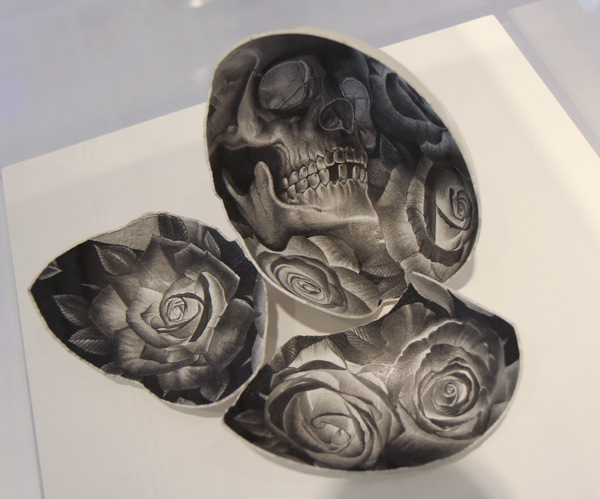 Morbid images, rendered in graphite onto these fragile surfaces that represent birth and transformation, point out the delicacy of opposition. 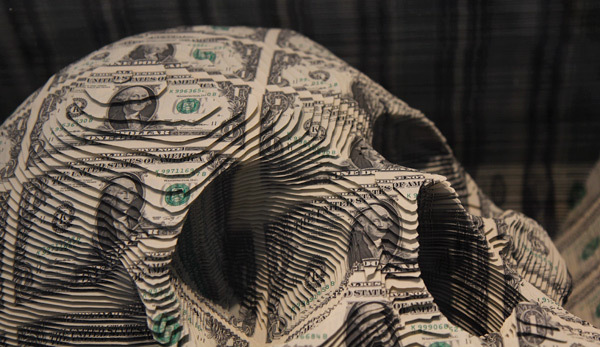 The title Noblesse Oblige implies that whoever claims to be noble must conduct their life accordingly, and in a manner that conforms to one’s position. 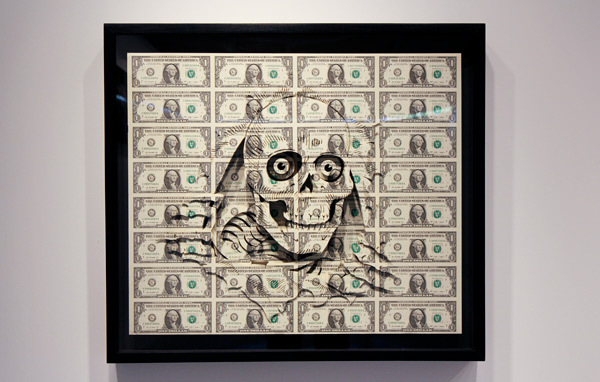 In Campbell’s case, his “nobility” is his tattoo-artist origin, and it is to that position and reputation his compliance is fashioned. 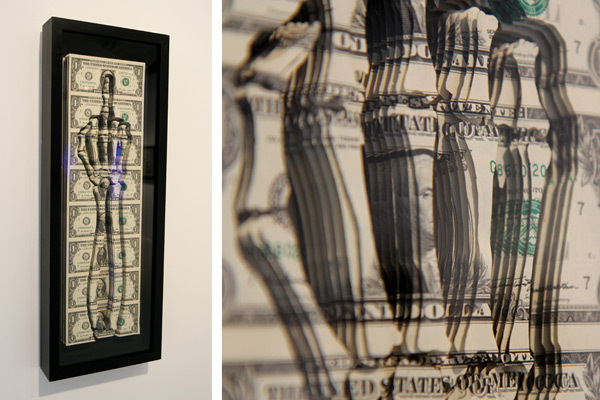 In exhibiting a chronicle of working class imagery, customarily inked onto skin, Campbell seeks to construct a new context for the genre - an alternative narrative for consideration.